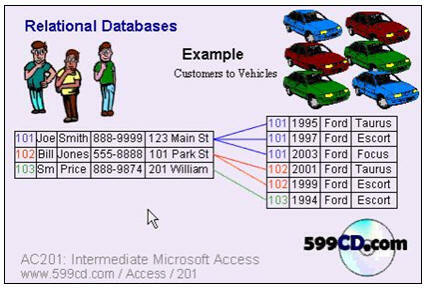 Access 309 covers two main topics: many-to-many relationships, and date conversions. So far, the only types of relationships we've learned about have been either one-to-one or one-to-many. One-to-one relationships are used where you have one record related to exactly one other record, like the extended customer information form we made. It shows one additional screen of information for one customer. 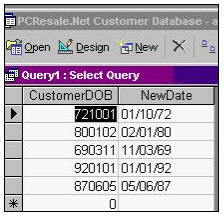 A one-to-many relationship is the "traditional" relationship you find in most databases. One customer to many orders. One customer to many contacts. One manufacturer to many products. Etc. Another example would be car owners to vehicles. Each driver might own one or more vehicles, but the vehicles aren't driven by different people. One car owner to many vehicles. In this class, I'm going to teach you about many-to-many relationships. 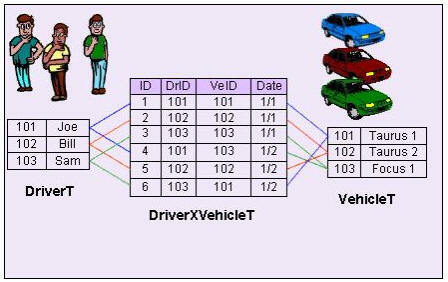 For example, if you have a fleet of vehicles and different drivers who might drive any car, you might need to be able to assign drivers to vehicles on different dates. This is a many-to-many relationship. Many drivers for many vehicles. 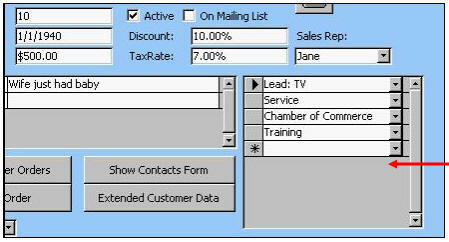 This is what you'd use if you want to be able to put a many different customers in MULTIPLE groups... or put a different members in MULTIPLE classifications... or assign a several drivers to MULTIPLE vehicles... or assign a MULTIPLE supervisors to MULTIPLE employees. This type of relationship is extremely powerful. Then, after we study relationships, we're going to work with dates. Dates are often misunderstood in Access. I'm going to teach you about the CDate() conversion function. I'm also going to teach you tricks for dealing with dates that you might import from someone else's database. Perhaps you got a date like "20070910" and you have to convert that to a regular Access date. What if you have dates with 5 digits?